Frameworks by Gator and UK distributor Sound Technology Ltd are pleased to announce three new products. The Frameworks ID Speaker Sub Pole, Wall Mounted Guitar Hanger and Quick Release Microphone Adapter. The new Frameworks ID Speaker Sub Pole features a compact cylinder design and includes a Lift-EEZ piston for lift assist and easy one handed CAM operation. It fits traditional sub mounts with an integrated adapter for threaded M20 mounts. The ID Speaker Sub Pole height adjusts from 37 to 57 inches and is ideal for use with speaker cabinets between 35-40lbs with total wight capacity of 70 lbs. 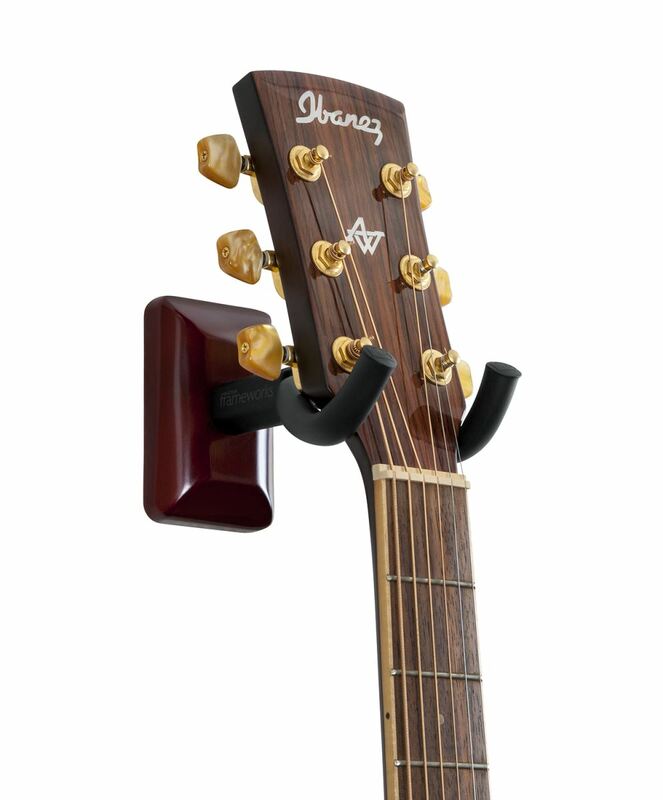 The Frameworks Wall Mounted Guitar Hanger fits electric guitars, acoustic guitars, and bass guitars. A rubberised swivel yoke cradles the guitar neck and a sleek black standoff provides clearance for both straight and angled headstocks. Five decorative finishes are available, mahogany, back, cherry, chrome and maple. 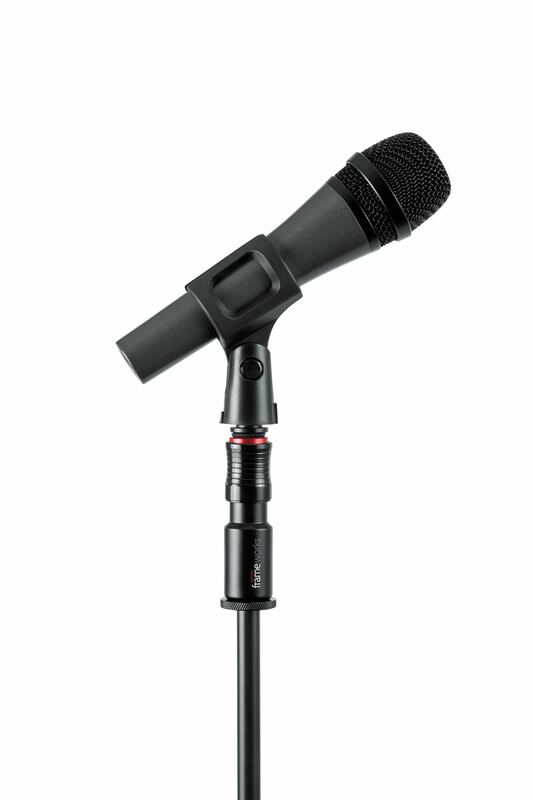 Finally, the Frameworks Quick Release Microphone Adapter mounts to any 5/8” threaded microphone stand and enables the user to quickly attach and release a microphone clip or boom arm with an easy to use clutch release. A red safety collar indicates when quick release not fully engaged. The Frameworks ID Speaker Sub Pole, Wall Mounted Guitar Hanger and Quick Release Microphone Adapter are expected to be available in Q2 2016 with pricing to be announced.